It’s release day! Hurray! Defying Doomsday is now available for purchase in ebook and paperback formats from various online stockists including the publisher at Twelfth Planet Press, as well as Amazon and Barnes & Noble. Rewards have already started going out to our incredible Pozible backers, from knitted rewards and pendants, to paperbacks and exclusive backer hardcovers. We love seeing photos on Facebook and Twitter tagged by backers as they arrive! We will be holding a launch at Continuum Con in Melbourne in June. 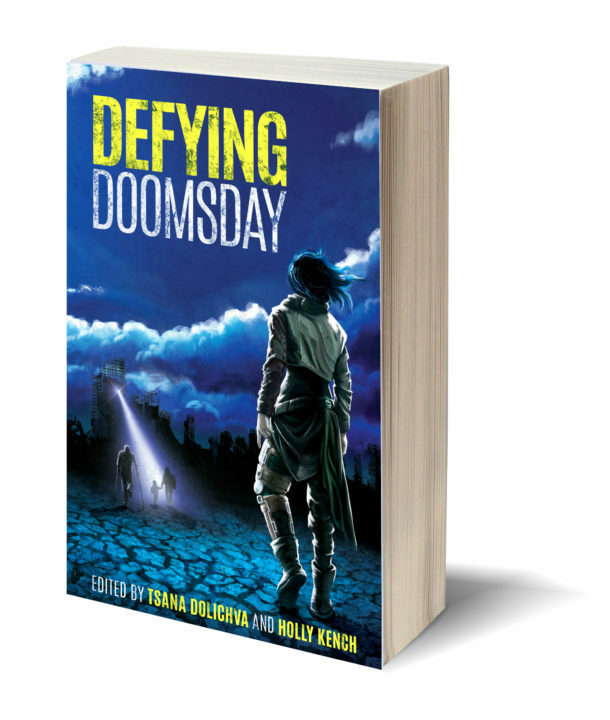 In the meantime, there’s been a wonderful write up for Defying Doomsday in The West Australian, and some lovely reviews at Ventureadlaxre and Random Alex, as well as community reviews on Goodreads.